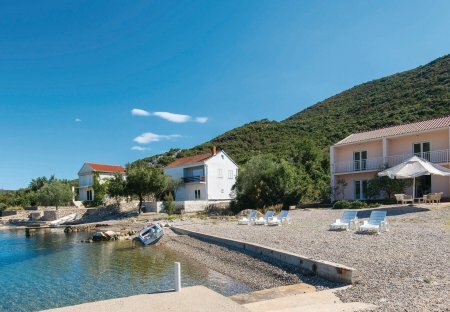 Rent villas in Brijesta, Croatia. This lovely home is located just a few meters from the sea and pebble beach in the village of Brijesta on the Hablinsel Peljesac. The home consists of four residential units.